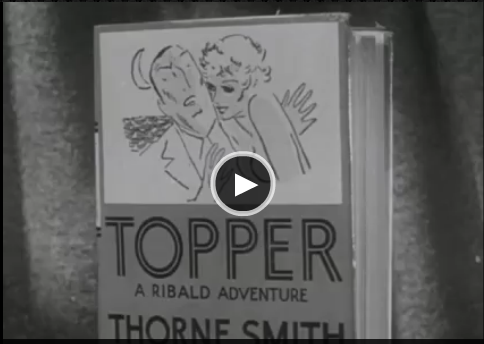 This page is dedicated to all items and information I can find on the 1937 movie, TOPPER. I'll be adding posters, reviews, articles and basically anything I can think of related to the film, which is based on the 1926 book of the same name by Thorne Smith. Still in the process of adding material. Here's a great essay about the 1937 Topper movie for your reading pleasure. Just click on the link and it will open a new window with the article in it. Looking for TOPPER on DVD? Looking to get TOPPER on DVD? I'm not thrilled with any of the versions available for sale out there. The best version I've ever seen is the restored one that Turner Classic Movies shows from time to time. It looks fantastic! The second best is this one available from Amazon.